Recent comments from Michael Chastanet, father of Prime Minister Allen Chastanet have prompted the Office of the Prime Minister [OPM] to issue an official rebuttal on May 9th, 2017. Michael Chastanet a leading Saint Lucian businessman and, talk-show host made the controversial remarks targeted at Clergyman Father Kevin Murray during his ‘Open Mike’ TV show that aired on DBS on May 7th. The Father of the Prime Minister referenced an amendment to a Public Order known as the David England [Prohibited Immigrant] Order in what some say appeared to be a veil threat to have the United States Clergyman deported. 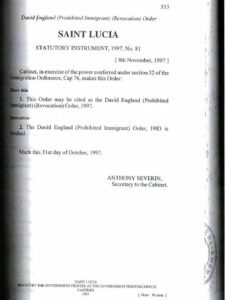 The Saint Lucia Labour Party [SLP] Administration repealed the David England Order in 1997. The comments by Chastanet Senior have elicited national scrutiny. 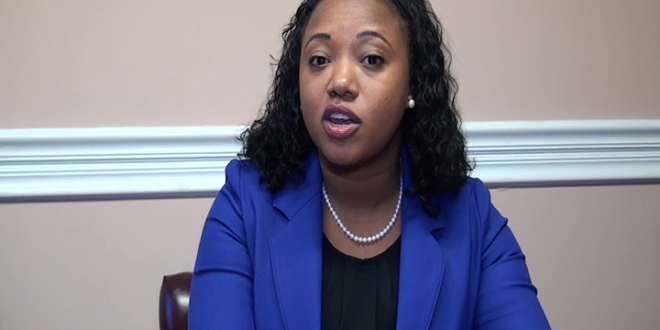 Nicole MacDonald, senior communications manager at OPM distanced the government from Michael Chastanet’s comments. Listen below. 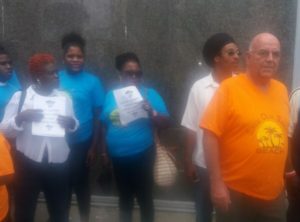 Father Murray has been vocal and joined widespread objection to the controversial multi-billion dollar Desert Star Holdings Ltd Project earmarked for Vieux-Fort that proposes the construction of a man-made causeway to the Protected Maria islands. The DSH development project is projected to consume more than 800 acres of investment land across Vieux-Fort.